Successfully Added UPnP High-Def Media Server (white) - Wireless Media Streaming to your Shopping Cart. 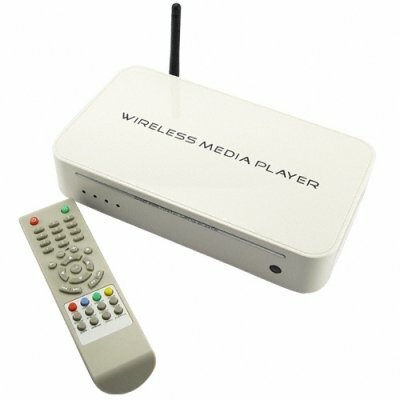 Digital media server for wired or wireless streaming of digital files (including high definition up to 1080I) or internet media such as youtube directly to your TV via high speed LAN or 802.11 A/B/G connection. Works for hi-def and standard TV's. Media Format Compatibility: FLV, AVI, MPEG4, DIVX (4.0), XVID, JPEG, MP3, MOV, QT, RM, RMVB, WMA, VOB, DAT, MPEG1, MPEG2 etc.